"I was given the gift of life now I have to give it back.this is hard, but I was a lucky woman who led a beautiful existence and for this I am grateful." Grannie Wee Wee will forever be loved and remembered by her 5 children, 14 grandchildren and 16 great-grandchildren. She is survived by daughters: Brenda Barker and husband Robin, Beverly Robertson and friend Jerry, sons: Greg "Bo" McEntire and wife Amy, Freddie McEntire and friend Terrina and Micheal McEntire. Grandchildren: Trenton McDaniel and wife Kristy, Jessie Ammons and husband Bobby, Emily Stinson and husband Lance, Jillian Franklin and husband Chad, Levi McEntire, Luke McEntire, Ryleigh McEntire, Barrett Barker, Chelsea Slate, Taylor McEntire, Daniel McEntire, Cassandra McGriff, Micheal McEntire and Kirk McEntire. 16 Great-Grandchildren: Brendan Scott, Addison Scott, Kaylee and Victoria Ammons, Lidge, Elam and Stella Stinson, Matthew and Aveline Franklin, Hayden, Paige Shores, Natalie Slate, Kynleigh Slate, Jackson McEntire, Heaven McDaniel and Noah McDaniel. She was preceded by husband Fred McEntire, brother, Carl Gene Essman and grandson Zachary McEntire. She loved the holidays and family dinners and never hesitated to play a game with her grandchildren or those special great-grandchildren. Turkey Track and local dances were some of the things she loved along with her absolute favorite of shopping. She never met a stranger and always spoke her mind with a smile. She could light a room by just her presence and the world got a little bit dimmer with her passing. Grannie Wee Wee's pallbearers will be Bobby Ammons, Lance Stinson, Lidge Stinson, Brendan Scott, Chad Franklin, Levi McEntire, Luke McEntire, Barrett Barker and Hayden Shores. Honorary pallbearers will be her great grandchildren. 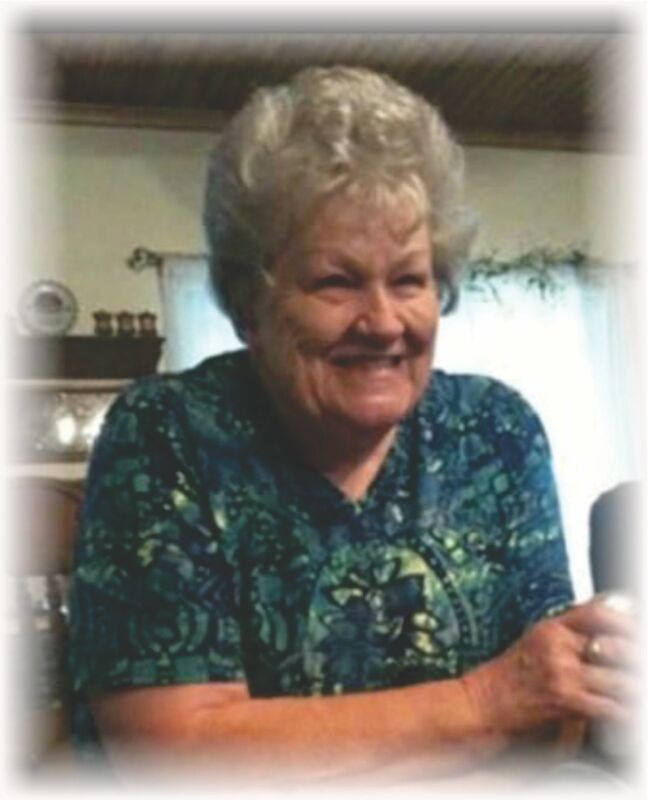 Grannie Wee Wee's visitation will be Tuesday, April 2, 2019 from 5:00 p.m. until 7:00 p.m. at the Heritage Memorial Funeral Home Chapel in Waldron, Arkansas.